is PRESS is PRESS publishes short run art books and zines documenting urban art and conceptual time-based art projects in an accessible narrative format along the loose theme of individuals and their relationship to groups. Our art books and zines deploy a sophisticated design aesthetic and high quality printing, often featuring letterpress and screenprinting. is PRESS also distros art books, zines, patches, and prints featuring graphic art, urban art, street art, urban photography, and graffiti. For day-to-day updates on in process projects please follow is on instagram or tumblr. To read our sold out publications check us out on issuu. For bi-weekly shares of odd-art news from The Institute of Sociometry like us on Facebook. In an effort to fund the publishing of conceptual artists books is PRESS also utilizes our letterpress printing and design skills to help other artists realize their work in printed form. You may contact is PRESS for your custom letterpress printing needs and help with self-publishing or print-design projects. Institute of Sociometry or is practices and promotes guerrilla sociometry. As the term implies, guerrilla sociometry is similar in focus to text book sociometry, yet in no way conforms to the rigorous demands of science or mathematics! is has accredited 601 special agents in 23 countries. Agents are recruited via post. Active is agents check in with reports, which are published on sociometry.com, and submitted on tri-fold displays at the quadrennial Sociometry Fair. is PRESS will be tabling at two November events! 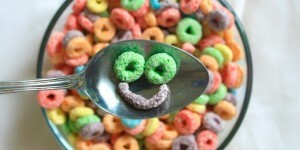 On Thursday 11.09 is the intimate semi-annual Zines and Cereal from 7-9, hosted by the Denver Zine Library at Europa Coffee House, 76 S. Pennsylvania St., Denver. AND... From 11.16-11.19 we'll be sharing a table with Flatlands Press at the first ever Chicago Art Book Fair! The CABF will be at the Chicago Athletic Association Hotel at 12 S. Michigan Avenue – right across Michigan Ave. from Crown Fountain in Millennium Park! 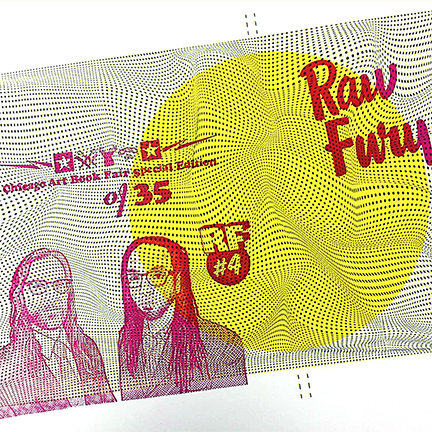 We're busy printing 35 ultra-limited special cover versions of Raw Fury #4 just for Chicago Art Book Fair! Here's a teaser!